PRWeek takes a sidelong look at recruitment in public sector comms. 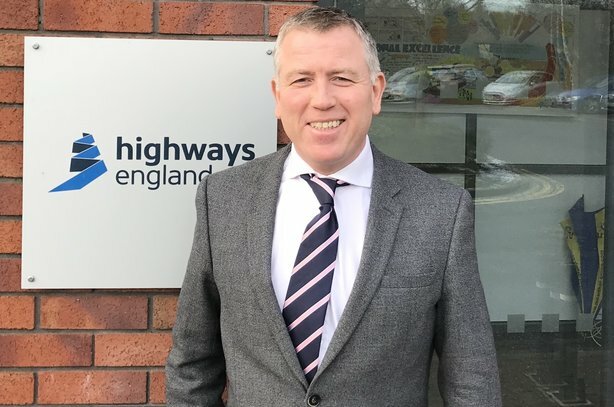 Do you fancy Jon Moore's job as Communications business partner, Highways England? Curiosity, storytelling skills and a strong news sense are top of the list. Ideally a professional communications qualification such as the CIPR or CIM advanced certificate or diploma. A degree is desirable but not essential if you demonstrate the right skills, work hard and can show you can deliver results. Ideally experience in two or more comms disciplines. I’ve worked in press, public affairs, internal comms and marketing roles. Business partners develop communication strategies and advise teams across the company. We act as the link between comms teams and policy and operational colleagues, so we need a good understanding of the whole mix. The ability to keep a cool head in a crisis also comes in handy! Useful, not essential; we welcome the best talent from both private and public sectors. Millions of people rely on our roads network daily and it’s a mammoth task keeping it flowing 24/7, improving it and dealing with accidents when they happen. You have to be politically aware and understand how messages could be received by the public and the media. Highways England is responsible for spending £15billion of taxpayers money over five years. With this huge budget comes great scrutiny to ensure it’s being spent properly, and rightly so. Staying on top of a wide range of complex issues, understanding the business and balancing the day-to-day activity with the need to keep focused on the longer-term strategic view. Sometimes I have to respond to an issue in the news which can totally take over my day. There’s lots of travelling around the country - by train, not motorway (I’m doing my bit to reduce congestion! ), and demanding internal clients who all want my time to focus on their project. It’s so varied and interesting; I genuinely get a chance to make a difference and potentially save lives. I work with world-leading experts on an amazing range of big, high-profile projects such as autonomous vehicles, driver behaviour marketing campaigns, innovation and environmental issues such as air quality. We get to work with some great creative agencies on campaigns: early results from our recent ‘Distressed’ campaign targeting young motorcyclists point to an increase in the target group wearing protective clothing that could save their life in an accident. That’s hugely important. Who knew about ‘mammal ladders?’ When we build new roads we’re required by law to protect certain species like Great Crested Newts. We put in lots of little pitfall traps (buckets in the ground) to collect the newts. But we also install little ‘mammal ladders’ so that things like mice can escape safely while the newts stay trapped, allowing us to move them to a safe new home. Let’s start by looking at the customer insight. Will I be able to get rid of the roadworks outside my mum’s house? Some days I feel like a diplomat, a circus juggler and a fire-fighter rolled into one. No seriously - this role is so varied it can take you into a management positions or consultancy or you can specialise further into areas such as speech writing.